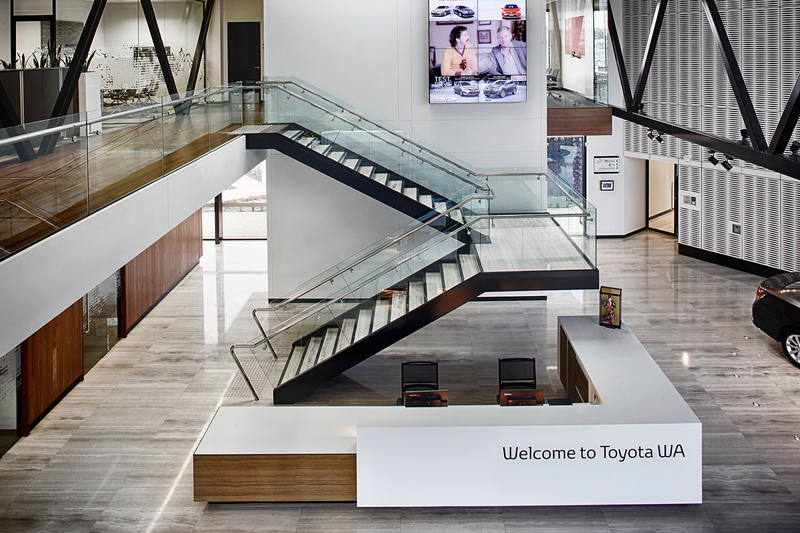 A new commercial head office for the Toyota WA division comprises individual offices, open plan office areas, a reception, boardroom, conference rooms, kitchen and ablution facilities. Works included a suspended in-situ concrete floor slab which utilised the innovative Kingflor formwork system designed to minimise the need for steel support columns allowing greater open areas below. 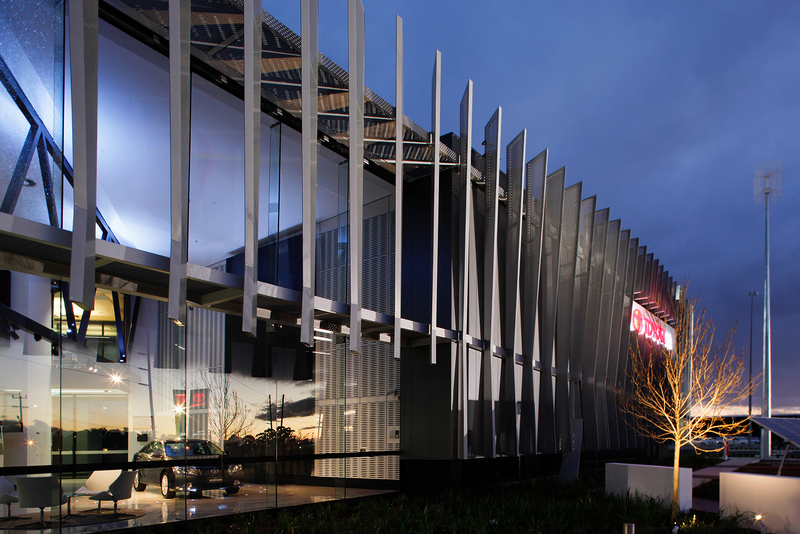 The external facade of the building is clad in Corian and Kingspan wall panels. Corian is a flat stone looking composite and its non-porous qualities and clean lines make it a standout feature of the building. 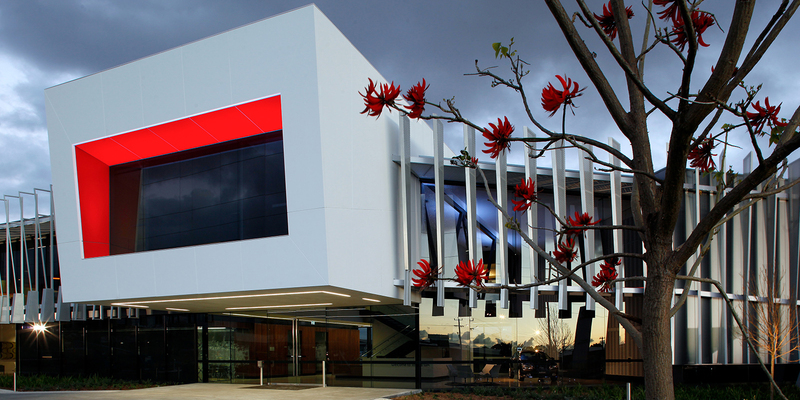 The green star building employs wind turbines and solar panels to generate power and a black water system servicing the requirements of the toilets and reticulation.